My name is Wanda Writer [name changed]. I’m [age redacted] and have been writing since I was 8. I am very much interested in getting some of my stories published–especially the ones with LDS characters and content. They are, in the main, romance novels. I have posted all of them on xyz.com [URL changed] under the pen name Wanda Writer and they’re all doing well, especially with teenaged girls and college coeds. It would mean a lot to me if you would be willing to get on xyz.com, look up my profile and choose one of my stories to read. I don’t know if you’ve ever visited the website before, but the author’s profile includes a list of his/her stories that are posted, and each story includes a synopsis or description of the plot or storyline. I should tell you that each and every one of my stories is different from every other. I don’t have a formula of any kind. I create the characters, give them life, and then they write the story. Some are in first person, some in third person omniscient, depending on the type and feel of the story, as well as its content. If you would read one–depending on whichever synopsis most appeals to you personally–and then let me know if you think any of the LDS publishers would be willing to take a look and possibly publish it, I would greatly appreciate it. This is a well-written letter (better than many of the queries I get in my day job) and were I the correct audience for it, it would have piqued my interest. In essence, what you’re asking me to do is to become your agent. An agent’s job is to review your work and match it to a potential publisher, for which they are generally paid 15% of your royalties. I am not an agent and, as far as I know, there are no LDS agents because 15% of the average LDS book royalty is not enough to live on. Therefore, you’ve got to act as your own agent. 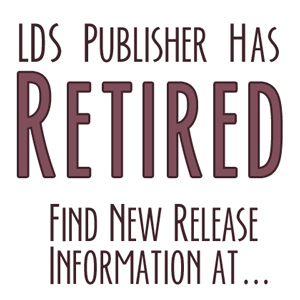 However, in the very quick peek that I took, I found no content that would rule out any of the LDS publishers as a possible place for query and/or submission. While some LDS fiction is still targeted to readers who want clean, simple, happily-ever-after endings, there are some titles that are definitely targeted to those who want a more realistic read. Do your research and submit something. All they can do is tell you no. This makes me want to bang my head against a wall–will the age-old (totally incorrect) stereotype of LDS fiction ever die?